Shines smooth leather, conditions and protects. 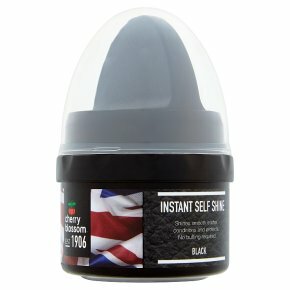 No buffing required.Unique formula cream, shines smooth leather without buffing. Conditions and protects. Directions: Apply cream to clean leather with applicator provided. Allow to dry before use. CAUTION: Keep out of reach of children. If swallowed seek medical advice.